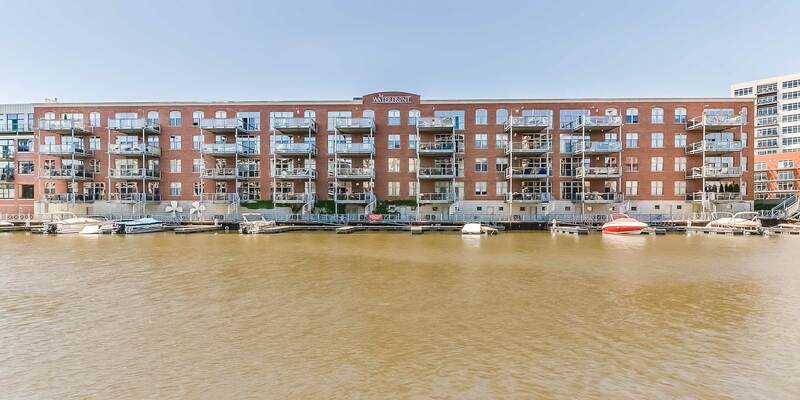 The Waterfront is a 64-unit residential condominium development located on the Milwaukee River. These elegant units may feature gleaming hardwood flooring, high ceilings, large windows with stunning views and sun-drenched spaces, a gourmet kitchen with high-end appliances, customized cabinetry, granite countertops, a cozy fireplace ideal for those frosty evenings, private large deck, luxurious bathrooms and much more. Boat slips are available. Also nearby are the options of great restaurants, the theatre, lakefront, bars, downtown and more.